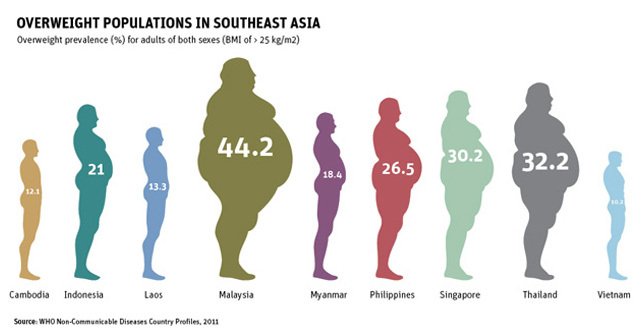 Over the past three decades this increasingly prosperous nation has become the fattest country in Asia, with nearly half the adult population now overweight or obese. Several years ago, Dr. Tee E Siong, Malaysia’s leading nutrition expert, decided to act, organizing a far-reaching study of local diets and lifestyle habits. The research exemplified a practice that began in the West and has moved, along with rising obesity rates, to developing countries: deep financial partnerships between the world’s largest food companies and nutrition scientists, policymakers and academic societies. As they seek to expand their markets, big food companies are spending significant funds in developing countries, from India to Cameroon, in support of local nutrition scientists. The industry funds research projects, pays scholars consulting fees, and sponsors most major nutrition conferences at a time when sales of processed foods are soaring. In Malaysia sales have increased 105 percent over the past five years. In addition to Nestlé, Dr. Tee’s work has been funded by Kellogg’s, PepsiCo and Tate & Lyle, one of the world’s biggest makers of high-fructose corn syrup, among others. He said scientists need cooperation and financial support from companies, who can supply much-needed resources. He noted that traditional Malaysian cuisine — curries and other sugar-laden street foods — are key contributors to obesity but said that working with street vendors and mom-and-pop companies to make their food healthier is difficult. Working with multinational companies is easier and more productive, he said. Dr. Tee said he has used his position in the government to push for important steps to regulate companies, including a 2003 rule that required food companies to put nutritional information — the levels of fat, sugars and protein — on their packaging. “We have to stop blaming the multinationals,” Dr. Tee said. The real problem, he continued, isn’t the type of food people eat, but how much of it, and their lifestyle. Dapper and soft-spoken, Dr. Tee, who has a doctorate in food science from the Universiti Sains Malaysia, Penang, bounces around the globe attending and organizing conferences. In 2002, he started a consulting business, TES NutriHealth, whose clients are small food companies. At the same time he sits on seven government committees and was chairman of the committee on nutrition and health claims until 2011. In 2014, he created the Southeast Asian Public Health Nutrition Network, or SEA-PHN, with nutrition leaders from Thailand, Indonesia, Philippines and Vietnam. Much of the network’s funding comes from Danone, Nestlé, PepsiCo and other large food companies, whose logos are displayed prominently on the SEA-PHN website and its annual reports. Dr. Tee says nearly all of the group’s funding comes from corporate sponsorship and fees for attending conferences. In Malaysia, Dr. Tee’s nutrition society created an education pamphlet for parents that explained “the wonders of whole grains.” The brochure includes ads for Nestlé’s Koko Krunch and Cookie Crisp cereals, which have a “whole grain” label but are more than a quarter sugar by weight. The nutrition society has promoted “Nestlé Healthy Kids,” a program that promotes the value of breakfast and exercise, reached 4,200 children in 77 schools in 2014, and that is marketed with a videop romoting Nestlé and quoting children. 95% of your body shape has to do with the food you eat – not exercise. According to their annual accounting reports, the nutrition society has received hundreds of thousands of dollars from industry, including at least $188,000 from Nestlé and Cereal Partners Worldwide — a joint venture between Nestlé and General Mills — for the breakfast study. It has also received at least $44,000 directly from Nestlé for other projects and collaborations; about $11,000 from the dairy industry; $10,000 from the artificial sweetener company Ajinomoto, which makes aspartame; and at least $40,000 from Philips Avent, the baby and consumer products company, for projects related to infant and maternal nutrition. PepsiCo and Tate & Lyle, the corn syrup producer, have sponsored the nutrition society’s annual conference as well as Dr. Tee’s Southeast Asia Public Health Network, but the companies declined to say how much money they contribute. The ethos of corporate partnership runs through a number of health initiatives in Malaysia. A Health Ministry committee teamed up with the Federation of Malaysian Manufacturers, which includes representatives of major food companies, to develop a labeling system for the public. The labels tells consumers which packaged foods are a “healthier choice” than others in the same category. Among the products that obtained the label were children’s sugar cereals and Gatorade Quiet Storm, which has 16 grams of sugar per serving (roughly four teaspoons) and is given a grade of D-minus for its nutritional content by “Fooducate,” an app that grades the health of various foods and won a surgeon general’s award. The Malaysian health minister S. Subramaniam said the government’s job was not to be a watchdog over big food companies. But some nutritionists say Malaysia’s dietary guidelines, which Dr. Tee helped craft, are not as tough on sugar as they might otherwise be. Corporate funding of nutrition science in Malaysia has weakened the case against sugar and processed foods, said Rohana Abdul Jalil, a Harvard-trained diet expert based in the rural state of Kelantan, where obesity is as high as in the biggest cities. Elyza Ismail, who lives in a house beside rice paddies and has a business selling plus-sized clothes, said before she attended the class, she did not know that Milo, the Nestlé breakfast drink, contained so much sugar. 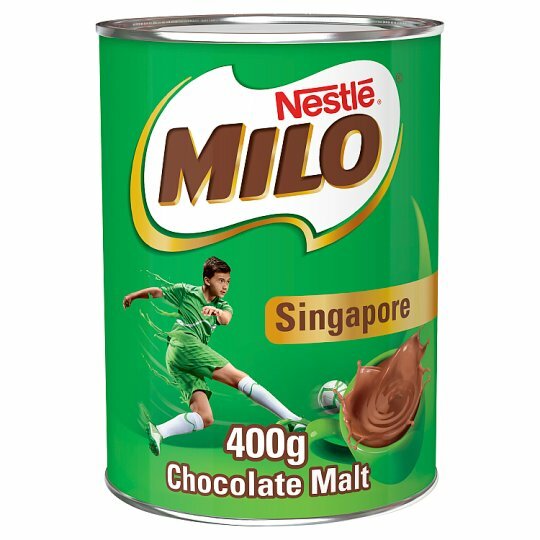 “I had this idea of Milo as healthy and strong,” Ms. Elyza said, repeating an advertising slogan that has echoed in the ears of Malaysians for years. Dr. Rohana, who doesn’t take research money from companies, is promoting a back to basics approach: whole grain rice and other natural foods that are native to Malaysia. She criticized the research papers that came out of the nutrition society’s breakfast study. In addition to the paper that linked drinking malted beverages with more exercise and less screen time, Dr. Tee and his colleagues published a study that pointed to breakfast cereals, which are not part of the traditional Malaysian diet, as an “important source of nutrients,” although the study also pointed to high sugar levels in the cereals. The research findings have been useful in Nestlé’s marketing efforts. In one commercial, a child is falling asleep and having trouble concentrating in class, then drinks a Milo and springs to life with energy. ← The 2 Sides Of the Marriage Coin of Vishen Lakhiani of Mind Valley. Marriage is the World’s Most Difficult Institution.